Set on the promenade overlooking a 200-metre long white sandy beach, Old Palace Resort in Sahl Hasheesh is a marvellous beachfront resort that offers luxurious amenities and comfortable stay to those travelling single, as families or in a group. Sahl Hasheesh boasts year-round salubrious climate and ample sunshine to ensure you a memorable beach holiday with thrilling water sports. The hotel is not too far from the city – just a 20-minute drive will take you to buzzing citylife! Spend your day admiring spectacular views of the Red Sea from the hotel or engage in water activities like scuba diving, wind surfing, snorkelling and sailing. You can also undertake desert safaris or boat trips to nearby islands. The resort has excellent restaurants, nightclub, spa, health club and entertainment shows for the recreation of its guests. 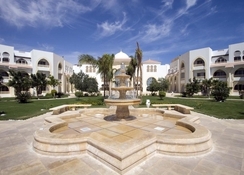 For unique experiences and luxurious hospitality of Egypt, look no further than Old Palace Resort. 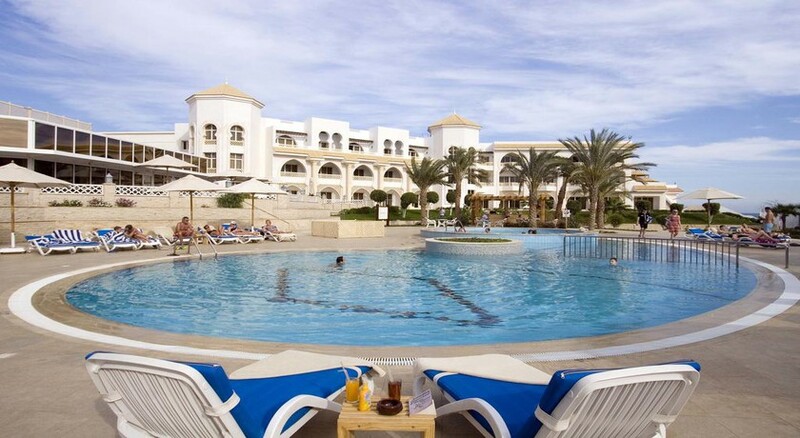 Old Palace Resort is located on a beachfront promenade facing a sandy beach around 200 metres long in Sahl Hasheesh. It is located at a distance of 20 minutes’ drive from the city and 18 km from the Hurghada Airport. Nestled in the backdrop of Red Desert Mountains, the resort is perfect for those seeking solitude. It within a walking distance from the Old Town and its attractions. 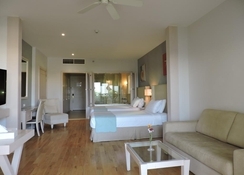 The hotel has several well-furnished rooms that offer fabulous views of the garden or the sea. The rooms are equipped with balcony/porch, en-suite bathrooms, air-conditioner, televisions with satellite channels, minibar, tea/coffee maker and rollaway/extra beds. Wi-Fi is available at extra cost. The rooms come in six categories like standard guest room, superior guest room, chalet room, deluxe guest room, junior suite and master suite. Old Palace Resort has three restaurants offering an array of tastes from various corners of the world. 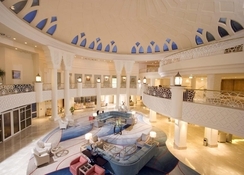 Al Kasr is the resort’s signature restaurant with a Bistro-inspired décor and live cooking. It serves a range of Asian, Middle Eastern and European dishes during lunch, dinner and an extensive breakfast buffet. The a la carte restaurant La Cucina specialises in Italian cuisine, while the Poncho Brazillian Steak House serves up Brazillian cuisine and grilled steaks. There is a Pool Bar overlooking the beach and swimming pool that offers light bites and drinks. Guests can also enjoy cocktails at the main Lobby Lounge. There is also an Oriental Shisha Corner for those who wish to smoke or enjoy snacks and afternoon tea. Old Palace Resort has ample avenues for guests’ recreation and relaxation. Guests can unwind at the pool or on the poolside sun beds with a drink or two from the Pool Bar, or head to the spa and health club that include sauna and steam room. The white sandy beach equipped with sun loungers and parasols is another place to unwind. Guests can also enjoy exhilarating water sports at the beach, including scuba diving, wind surfing, snorkelling and sailing. There’s also a gym, games room and shopping arcade. For the outdoorsy traveller, desert safari and boat trips to nearby islands are perfect ways to make the most out of your holiday. Spend a night on the tile at in La Bonita, the on-site nightclub and disco, and enjoy entertainment shows performed by the hotel’s animation team. Super hotel, stayed in deluxe room overlooking pool. Spent most time on beach, staff very friendly and hardworking.. Would return.